The Rustenburg Local Municipality in partnership with the Railway Safety Regulator (RSR), notwithstanding other stakeholders that participate in the exercise such as the South African Police Service (SAPS), has since the beginning of this week embarked on the National Rail Safety Campaign in Rustenburg, at level crossings. 26th – 30th November 2018 for the first time in South Africa to intensely promote rail safety messages for one week every year. The objective is to reduce collisions and create more awareness, given the statistics on the State of Safety Report and the fact that there have been challenges with level crossings, people struck by train and collisions. The Rustenburg Local Municipality believes that much still needs to be done to educate our communities on safe railway behaviour to curb the unacceptably high levels of fatalities at our level crossings. For further enquiries kindly contact Mr Magae on 014 590 3509 or 060 991 3666. 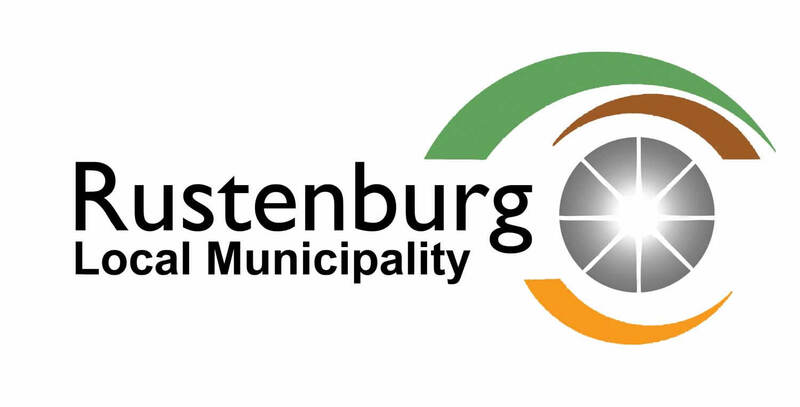 The Rustenburg Local Municipality with its Public Directorate led a joint operation on the weekend beginning 9thNovember 2018. The operation targeted several guest houses which are not in compliance with a number of regulations including building control act. Other directorates which took part in the joint operation are Planning and Human Settlement, Infrastructure, Electricity, Water and Sanitation. The South African Police Service (SAPS) was present as an external stakeholder. On one of the property’s the owner was fined R 2500.00 for operating a business without an approved building plan. It was discovered that the property housed an illegally operated tuck shop at the back of the yard and the property had an outstanding water bill amount of R 82 329. The Tuck shop was closed during the operation and the water meter was removed. In one of the properties that were visited on the day, it was discovered that the electricity and water connections to both were bridged. The owner was fined for operating a business without an approved building plan. A wanted foreign national for suspicion of drug trafficking was arrested and remanded in custody at Rustenburg Police Station. The foreign national has been on the wanted list of police for several months. In a separate incident, 3 male suspects were arrested for robbing a female learner at Rauwane High School of her cellphone in Tlhabane. Mr Molefe of the KMP Training academy witnessed the crime and alerted the Directorate: Public Safety and Saps. A case of common robbery (CAS 109/11/2018) was registered at Tlhabane Police station. For Media inquiries contact Mr David Magae on 060 991 3666 or 014 590 3509, alternatively by e-mail at bmagae@rustenburg.gov.za. Residents are hereby given notice of an urgent Electricity Supply Interruption due to hot connection on the New 88kV LINE from Eskom Waterkloof Switching Station to Rustenburg Local Municipality Waterkloof 88/33/11kV Substation on Friday 09 November 2018. The urgent outage will Commence 15H00 pm Until 18H00 pm. from Pole No. P24 Kroondal Town. Substation 88/11kV Substation (Kroondal Church and Surrounding Plots). 4. Samancor Waterkloof mine / Sylvania mine. NB: Consumers are advised to regards or/and treat all electrical installations AS LIVE during the outage period, switch off their electrical appliances in order to avoid any damage before the outage starts. The municipality further apologises in advance for the inconveniences caused. The Rustenburg Local Municipality has noted with repugnance the nefarious statements made public by Mr Joe McGluwa of the Democratic Alliance – DA in the North West, in a widely publicised document dated 05thNovember 2018. In it he alleges that the Municipality is unable to keep up with its monthly debts to creditors including power supplier Eskom. The statements made by this member of the DA are devoid of any truth and this is part of a ploy to discredit the accountable and responsible manner in which the administration is managing the Municipal finances. The Allegation that the Rustenburg Local Municipality owes power supplier Eskom is a lie. As a matter of fact, the Municipality has registered a formal dispute with the Energy Regulator – NERSA (Account No. 7729068018) over an account which has been erroneously on by Eskom to the Municipality, wherein Eskom alleges that the Municipality owes over R100 million rand for a Substation which ought to have been commissioned to the local grid in 2016 but was only commissioned in June 2016. The formal dispute registered with Energy Regulator – NERSA, is yet to be finalised and its outcome will follow a dispute resolution process, therefore any unfounded allegations such as the one being peddled in the court of public opinion by the DA is not factual and without evidence. We call upon any individual who has any evidence as it relates to this allegation, to present it and allow it to be tested using all necessary due-processes which are subject to scrutiny. The Rustenburg Local Municipality has rolled back to the old accounts billing system (PROMIIS) in May 2018. The process included re – billing of accounts from July 2017 to June 2018. During this period, the roll back team charged an average consumption where the client’s consumption was higher than their normal usage. This has led to certain accounts being undercharged. As a result, the billing team used the August billing cycle to correct accounts where billing was found to have been undercharged. The process to verify the billing information on municipal accounts continued in September 2018 wherein more accounts were charged more than their average usage. This exercise led to high consumptions, however, these high consumptions are correct. Overall those consumers who were affected by the undercharges had their August accounts higher than normal. More consumers will have their bills higher than the norm in September 2018, so as to correct the anomaly. Subsequent to this action, customer accounts are expected to go back to their normal usages. Please note that all accounts that were affected by the high consumptions will be spread out for the period under review. This is to give consumers the benefit of their normal averages as well as changes in tariffs. The effects of the abovementioned measure will then cause a reduction on the account. In keeping with the applicable legislation and having the interests of the residents at heart, Council approved the interest write back on its services accounts. The debt covers varied key municipal services such as water and electricity. The debt, impeded on the municipality’s ability to deliver services of good quality. Council has approved an Incentives program that has been running from the 1st of August 2018 to date. Incentives include write-offs of up to 30% excluding the current account. This covers accounts that were in arrears as at the 31st of July. This Incentive program is aimed at all residents and business that are in arrears with their accounts. The write-off of the debt has been effected with the expectation that the residents will start paying consistently on the monthly basis for services provided to them by the municipality. The decision to write-off applies across the board but is good news to indigent residents, who will most likely feel financially relieved from the burden of affording their municipal accounts. For Business Accounts – office 22 and 27. Residents are encouraged to take advantage of this opportunity and visit the above stated offices to make payment arrangements. These restrictions are implemented to avoid the system running dry and most areas in Rustenburg being without water.